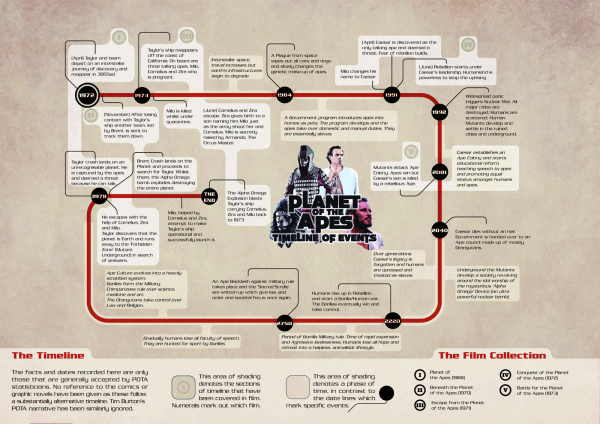 Created by Phil Laver, the Planet of the Apes Timeline of Events covers events across all five of the movies. The facts and dates recorded here are only those that are generally accepted by POTA statisticians. No reference to the comics or graphic novels have been given as these follow a substantially alternative timeline. Tim Burton’s POTA narrative has been similarly ignored. Phil also had his timeline infographic displayed during an exhibition, you can see a couple photos here.